SW Massage and Wellness Centre is pleased to offer South Calgary Hot Stone Massage Therapy as an additional benefit to our other massage therapy services, here in our SW Calgary Wellness Centre. Hot Stone Massage Therapy uses smooth, warm, basalt stones to enhance the therapeutic benefits of your massage therapy treatment. The stones are heated in a sanitizing water bath before every use and will retain their heat throughout your South Calgary Hot Stone Massage therapy treatment which is due to the high iron content in the basalt. Hot Stone Massage Therapy provides a calming relaxing benefit for your physical and psychological state. The gentle heat released from the stones will help both you and your muscles relax which allows our massage therapists to work deep into your tissues. Patients that suffer from overly tense muscles tend to relax more with hot stone massage therapy, and bask in the warmth of the stones as we release your muscle tension to sooth your sore muscles. 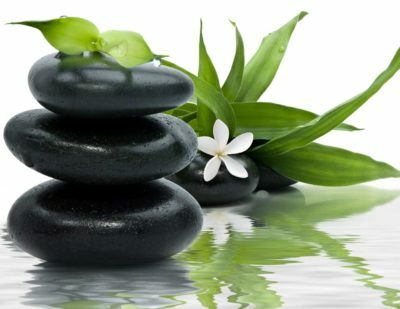 How Do I Learn More about South Calgary Hot Stone Massage Therapy? At SW Massage and Wellness Centre, we combine hot stone massage therapy with a full body massage for optimal healing and deep relaxation. If you would like to learn more about the benefits of hot stone massage therapy, we invite you to contact our office. Call SW Massage and Wellness Centre at (403) 931-4829 to request your Hot Stone Massage Therapy Appointment Today!